Dear addicts of photo editing, I know it’s hard for you sometimes to do all the things you’d like to on your Apple devices. A full-fledged computer with a proper software is what you are most comfortable with, but transferring photos to edit them properly is not something you can be bothered to do all the times. Among other fancy effects, many apps come with ready-made textures that make up for your unsatisfied editing cravings. However, being able to use your own personal textures is all another story, right? Also, being able to mix pictures is not an easy thing to do on iPhone/iPod Touch. DXP stands for “double exposure”. Tandem Systems’ app goes beyond the simple double exposure suggested by its name. With its range of blending modes and other options, it will provide you with some very interesting features that to this day most apps are not able to offer. Blending pictures effectively could almost be considered a branch of photography on its own. In fact, choosing the right blending mode can sometimes change the final look of your pictures. DXP will help you achieve the right effects. 18 blending modes (multiply, overlay, screen, hardlight, saturation, etc.). Basic but adequate features for effective picture blending are included in DXP. You can work either with shots taken with the built-in camera, with photos you have in your roll or with both at the same time. The blending modes’ intensity can be adjusted to generate different effects to suit your needs; you can desaturate or turn your pictures to sepia hues; you can make other adjustments, like choosing to adapt the superimposed images to fit the first layer or having the app crop them; you have a “push to/pop from stack” feature that will make it simpler to work with layers without having to handle them all at the same time. DXP brings iPhone photography to another level, giving the user that doesn’t feel satisfied with pre-packed effects more freedom, opening new possibilities of expression. There are a few changes which would improve the usability of DXP: the possibility to not have the layers merge as soon as you choose to turn them into black and white or sepia; more flexibility in the “push to/pop from stack”, in order to process a larger number of layers without risking to mess everything up; a wider choice of masking features; more customizable image rotation and layer cropping; at least an email sharing option. Also, I reckon up to a few updates ago an undo feature was available in DXP. I’m not sure why right now it isn’t available anymore. It was quite handy, because it allowed to make corrections without having to start over. 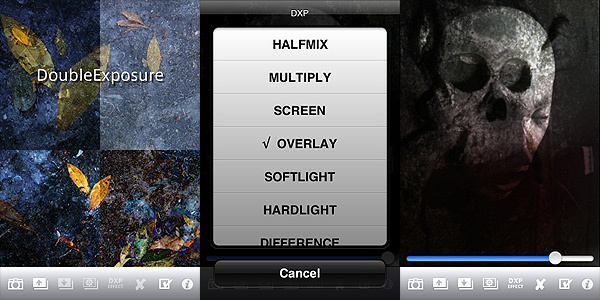 At the moment, for blending images properly, DXP is the best app available in the App Store. 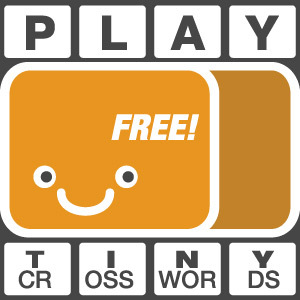 This app also comes in a lite version that you can try for free, so check it out! I’ve been looking for some time for apps able to do this. I’ll check this out. Previous post: PhotoArtista Oil: Let’s Pretend We Can Paint!